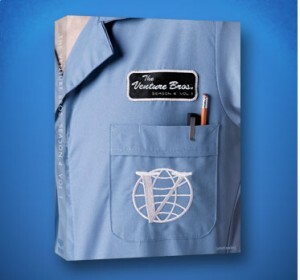 Venture Bros Season Four Part One is now available on DVD. The discs contain eight episodes, brimming with new scores by JG Thirlwell. It is available at Amazon, the Adult Swim store and many fine retailers.